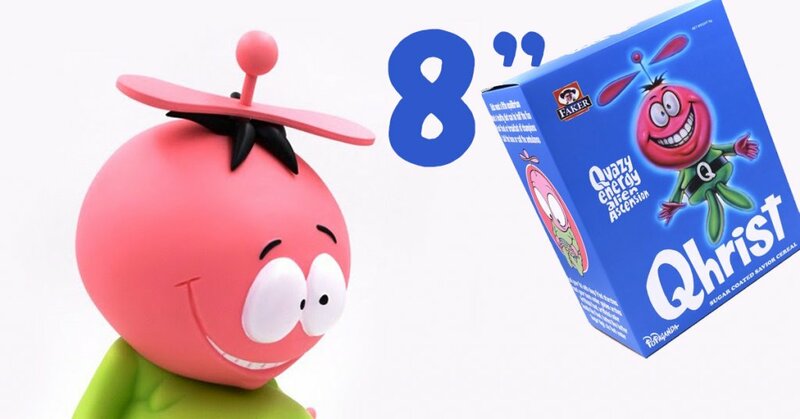 Ron English has just announced a BIGGER version of Cereal Killers “Qhrist”, whilst Qhrist made an appearance in the mini Cereal Killer series Qhrist will join the big 8″ versions alongside classic Fat Tony, Cap’N Cornstarch and the others. Don’t worry ladies and gentlemen, Ron states ZERO sugar included no gains on your belly only thing now is to make space for the big boy Qhrist. A few of our sponsors have the Ron English Cereal Killers 3 inch Mini Figure Series and Qhrist up for pre-order NOW priced at $65.00. Check out our visit to Ron English “East Meets West” Exhibition blow.